How Do I Apply To Take the DAT? Is There Financial Assistance Available For the DAT? 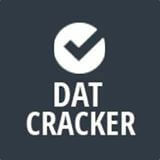 How Long Is the DAT? Can I use note paper or anything else while taking the test? When will I find out my scores? The Dental Admission Test, also known as the DAT, is a timed multiple-choice exam conducted by the American Dental Association (ADA). The DAT measures the general academic ability, comprehension of scientific information, and perceptual ability of an examinee. Dental school applicants are required to take the DAT in order for acceptance into any U.S. dental school. Although your DAT scores aren’t the only factor that dental schools consider while determining which applicants to select into their program; it is one, if not the most, heavily weighted factors. Every dental school has specific requirements including minimal DAT scores that the applicants must meet in order to even have your application reviewed for an interview invite, let alone an acceptance into their program. If you want to become a dentist then you need to score well on the DAT! I’ll go through the entire test, from start to finish, and break it down for you so you know exactly what you’re up against. In order to take the DAT, you need to receive approval from the Department of Testing Services at the ADA. You will first obtain a DENTPIN and then submit an application, which can both be done from here. Upon approval to take the DAT, you will only have 6 months to take it! You will not be able to extend that time or receive a refund for your payment so make sure you are committed and ready to go. The current fee is $415, which is a non-refundable and non-transferable fee. The fee includes official score reporting to all of the schools that you have listed on your DAT application (regardless of the number), an unofficial score report issued at the testing center, and official score reporting to your pre-dental advisor (if you chose this option on your application). You can submit updates to the schools you have selected on your DAT application as long as those are submitted to the ADA’s DTS before your testing appointment. If they are not received beforehand then there is a fee of $34 per report sent out to either a dental school or other recipient. The ADA does offer a partial fee waiver for students that are U.S. citizens or resident aliens and have received financial aid at his/her educational institution. The waiver covers 50% of the fee, but does not cover any additional charges for score reporting after the time of the initial application. Examinees that have previously received a fee waiver or who have already taken the DAT are not eligible for the waiver. Fee waivers are very limited and granted on a first-come, first-served basis only. In order to be eligible to receive a waiver you must submit the fee waiver financial information form, your completed paper DAT application, and your educational institution financial aid award letter. You can request forms at [email protected]. Fee waivers must be requested in writing and you will not be eligible for a waiver if you submit an electronic DAT application. The DAT is administered year round at test centers operated by Prometric Incorporated. Upon approval of your application to take the DAT, you will be notified via email to visit Prometric or contact them to schedule a testing appointment. You have to wait at least 90 days after taking the DAT to retake it. You’ll be required to submit a new application and pay the fee again for each retake. If you have three or more test attempts then you must apply for permission to retest. Yes you can; however, you’ll be required to pay a fee for rescheduling. Best thing to do is pick a date and stick with it! However, if something does come up and you have to reschedule then here is a table that will let you know how much you will have to pay. The DAT is a timed exam. You will have 4 hours and 15 minutes to complete all sections of the test. There are also 45 minutes of additional time which is optional and used for a tutorial at the beginning of the test, a break at the halfway point, and a survey after completing the test. The DAT is comprised of four tests: Survey of Natural Sciences, Perceptual Ability Test, Reading Comprehension Test, and a Quantitative Reasoning Test. In order to master the material, you’ll surely need a DAT Prep Course. Let’s look at each test and see what material is covered on them. The Reading Comprehension Test contains three reading passages on various scientific topics. Prior knowledge of the topics is not necessary; therefore, the purpose of this section is to test your ability to read, comprehend, and analyze basic scientific information. Time passes fast when you’re trying to read these scientific passages so you better get some practice in beforehand! A basic four function calculator on the computer screen that is operated with the mouse will be available to you on this section. *There was speculation that the QR Test would be changing in 2015 and that questions about numerical calculations, conversions, geometry and trigonometry will be removed and replaced by questions about understanding data analysis, quantitative comparison and probability and statistics; but according to the ADA DAT Guide for 2015 that is not the case and the test appears the same as the format of the previous years. Perhaps this change will happen in the future, but for now the QR Test format is as outlined above. You will be given two note boards and two fine tip erasable markers to use on the test. You are not allowed to bend them or distort them in anyway. You are also not allowed to touch the monitor screen while taking the test. You can use a basic four function calculator only on the Quantitative Reasoning Test which will be made available to you during that section on the computer and it will be operated with the mouse. Immediately upon completing the DAT you will receive an unofficial score report from the Prometric Testing Center. Scale scores are reported in this report and it will be the only report that you will personally receive. Official scores will be available three to four weeks after completing your test and will be sent electronically to the schools that you selected on your DAT application as well as to your pre-dental advisor if you wanted them to receive a copy. All U.S. dental schools require official score reports. The four most recent test attempts are reported to each school that you selected on your DAT application. Your scores are based on the number of correct responses; therefore, you are not penalized for guessing on a question. Don’t leave any questions blank! Scores are reported in scale scores, which are neither raw scores (correct responses) nor percentiles. Scale scores make it possible to compare the scores of one examinee with the scores of all the examinees. Scores for the DAT range from 1-30. There are no passing or failing scores; a scale score of 17 typically signifies average performance on a national basis. Each test includes certain questions that play a special role within the testing program. These questions enable the ADA to place different forms of the test on a common measurement scale, thereby adjusting the forms for any differences in form difficulty level. Because of these questions, scores have the same meaning regardless of the particular form that was administered. Other questions are experimental on the test and these are not scored. The data collected from unscored questions is used later in test construction processes, to ensure that these questions are appropriate before they are included amongst the scored questions. Before official score reports are released, the DTS conducts a quality review of all results in order to confirm the accuracy of the scores. They will also review test center reports of irregularities and violations of Test Regulations. For a period of 30 days following your test appointment, the DAT program is willing to audit your test results for a fee of $65 made payable to the ADA. This wraps up the breakdown of the dental admission test or DAT, hopefully it is clear to you what you will face on test day. The majority of this information is made available from the ADA in their Dental Admission Test (DAT) 2015 Program Guide which can be found here. Remember, performing well on the DAT is a crucial step in the process of becoming a dentist and getting into dental school. Be prepared and you’ll do well and soon realize your goals! 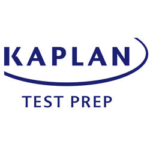 Kaplan DAT Discount Code Get $150 OFF In Person, Live Online, and Self-Paced Courses!Click the button below and enter the Promo Code at checkout.